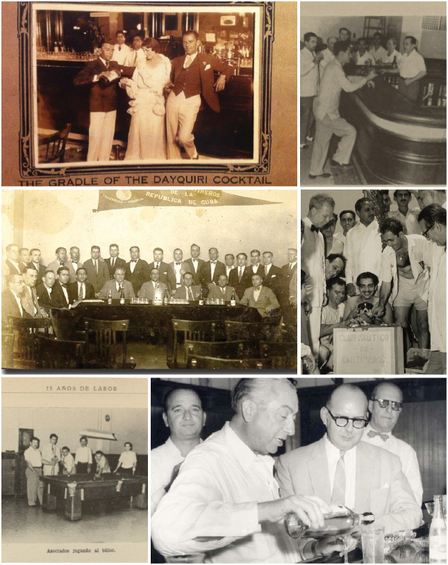 The story of an elite bartending society in Cuba's heyday of Daiquiris, American Prohibition, La Floridita and rum should be one every bartender knows. And yet the Club de Cantineros is often lamented as the forgotten bartender association. 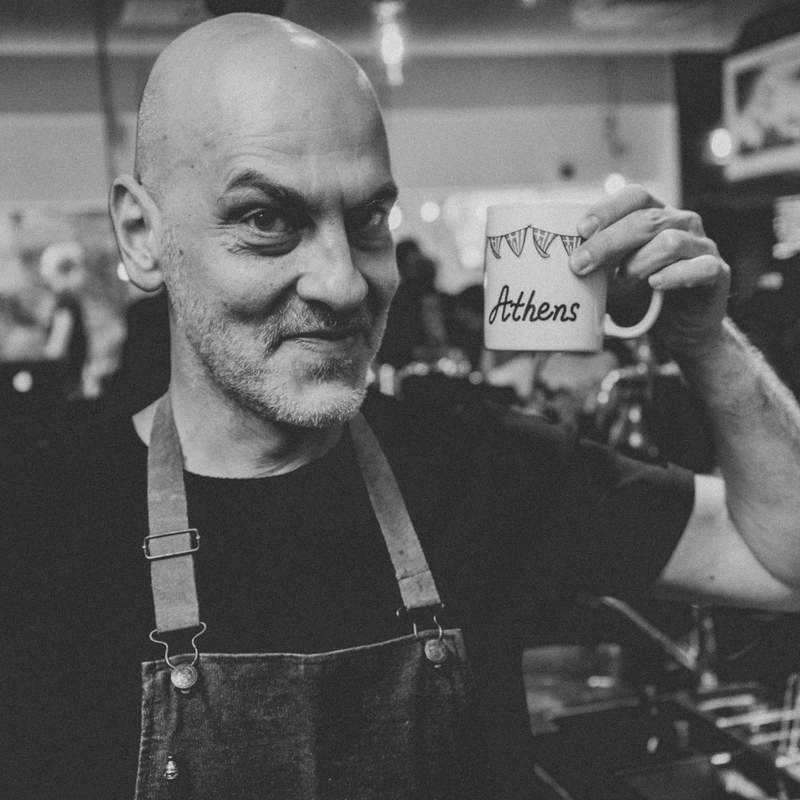 Articulating an age of elegance and finesse behind the bar, the group and its ethos would inspire countless bartenders worldwide. At the turn of the 20th century Havana became the place to be for the rich and famous. The city's bars, catering to glitzy holidaymakers, burgeoned under the patronage of wealth and good taste, and it was into this growing age of hospitality and cocktails that El Club de Cantineros de la República de Cuba (The Cuban Bartenders Club), started on 28 May 1924. Prohibition in America in 1920 drastically changed the game in Cuba. Before that, Havana had enjoyed moderate patronage from the wealthy but the ban on alcohol meant everyday Americans were suddenly jumping on boats across the narrow stretch water to enjoy the rum-soaked culture. And it wasn't just mass tourism that went hand-in-hand with Prohibition; plenty of US bartenders also travelled over in search of work. In response to this expanding industry, the club developed to ensure bartending was a career its members could grow old with, and it was considered a serious profession. The club would go on to lobby for eight-hour working days, six-day weeks and a minimum wage for members. Despite this it never considered itself to be a union. To begin with, there were only 25 members and 16 so-called 'founding protectors', or companies who provided financial support. This included two spirit companies: Compañía 'Ron Bacardi' S.A. and Pedro Domecq y Compañía; and one soft drink company Coca-Cola. 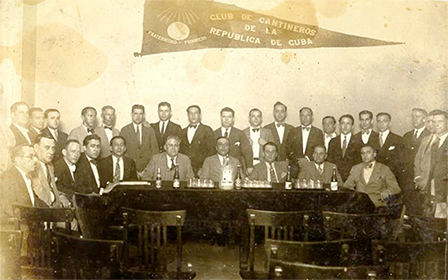 Membership spread by word-of-mouth but the club wasn't open to anyone - instead, potential members would be recommended and handpicked from the mass of bartenders Cuba was attracting throughout the '20s. As part of its plan to promote bartenders, the club started the Festival of the Cantinero in 1929. 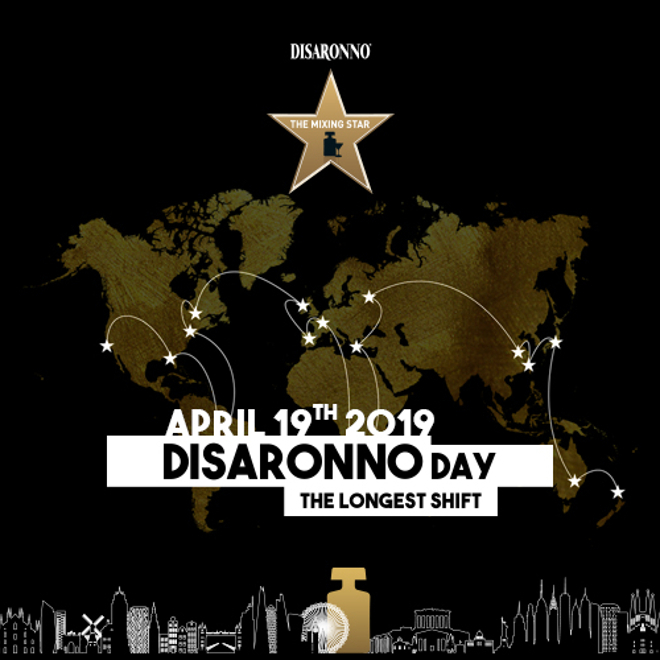 Once a year, bartenders from around the world would gather in Havana on the 7th October, a day which would later become known as El Dia del Cantinero. It was essentially the club's first PR stunt. 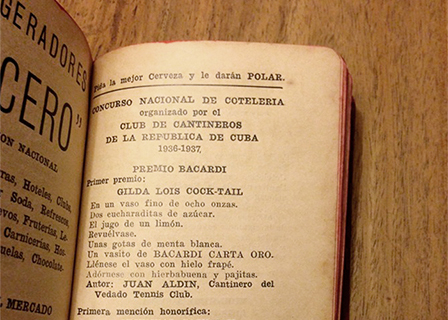 A year later the first cocktail book was released under the club's penmanship, entitled Manual Ofícíal. The book, published in cooperation with Ron Bacardi S.A, has impressively detailed recipes and recommends rare products for a Caribbean island in the 1930s. The club also opened up a cocktail school, La Clases del Coctelaria, teaching between 100 and 200 drinks. The graduating certificate was required of all new members to maintain high standards. 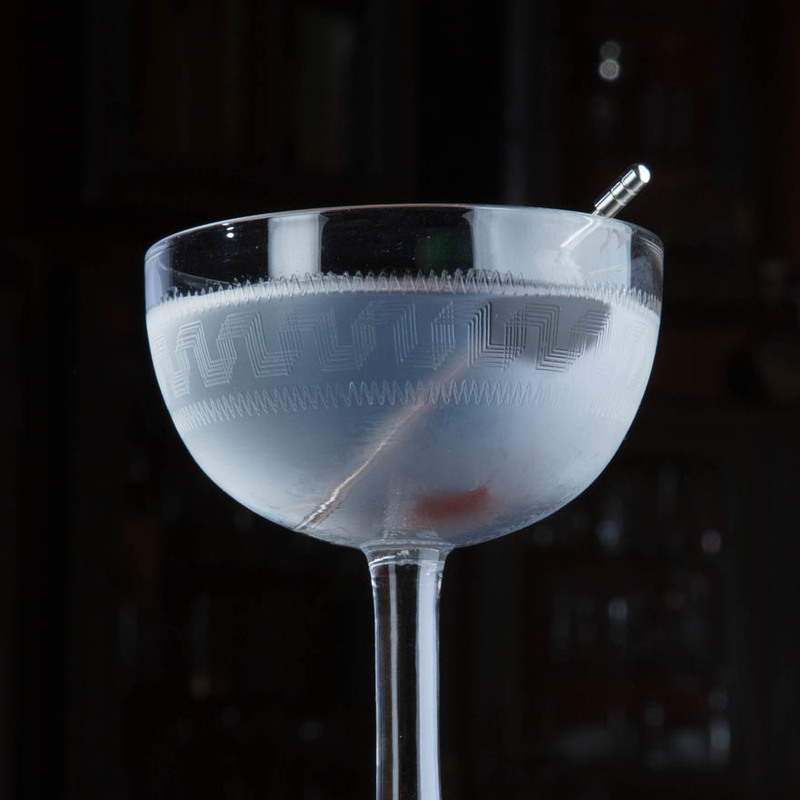 During April 1935, the club approved plans to host its first ever cocktail competition, set for the 24th October later that year. 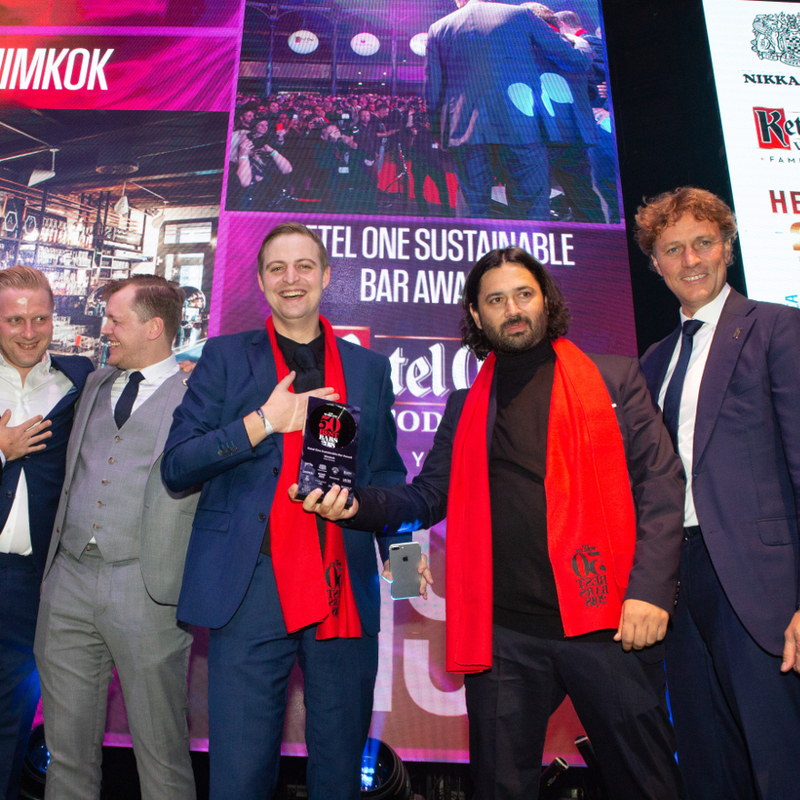 The first ever recipient of the award was Juan Aldin who won with his Gilda Lois, a drink made of Bacardi Carta Oro, lime and cane sugar and tablespoons of fresh mint liqueur. Oddly enough the drink, whilst using the famous Cuban flavour pairing of rum and mint, called for a liqueur and not the fresh Herba Buena mint that the country became famous for. Over the next few years the club released another book, founded its own clubhouse complete with a bar, pool room and library and started language classes to ensure all members were fluent, at a minimum, in Spanish and English. It's little wonder the bartenders of Cuba were compared with symphony conductors, they were well read, multi-lingual and had a repertoire of over 200 cocktails. The club continued strongly into the 1940s and '50s. 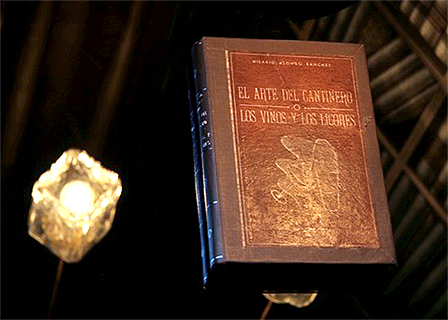 It raised money for new premises and in 1948 published its most famous book, known as The Bible El Arte del Cantineros - Los Vinos y Los Licores. 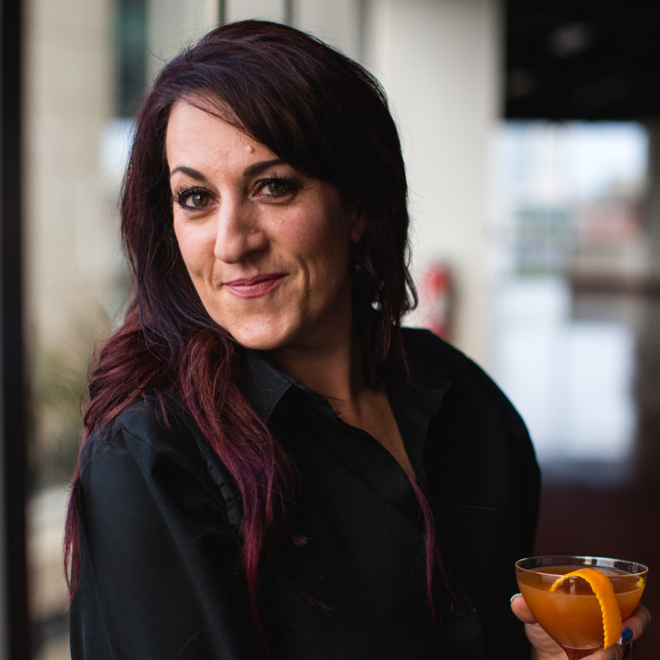 Apart from the hundreds of detailed recipes there was a large section dedicated to product knowledge and philosophy about the profession of a bartender. It was during this later period that the mind-set of Havana changed again. Established as the greatest place for a wealthy weekend hangout, now the mafia became very interested in it. Both Italian American and Jewish American gangsters (the Cosa Nostra and the Kosher Nostra, respectively) made Havana the most profitable playground for the mob in the 1950s, taking over many hotels and casinos. On the 25th anniversary of the Club de Cantineros, the club honoured the companies that had supported them with a certificate. 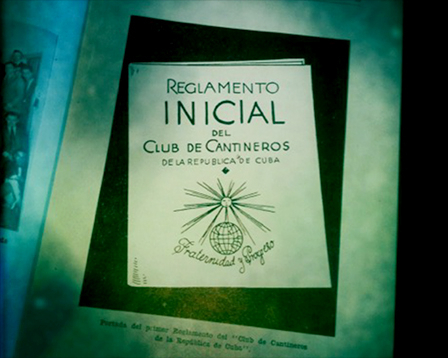 In the book to honour the occasion, 25 Años de Club de Cantineros de Cuba, the club wrote: "for others, the capitalist is an enemy; but for the club, the capitalist is a founding protector." It was a sign of times to come. In 1959, revolution came to Cuba through Fidel Castro. Although the club managed to stay open, the communist regime changed it completely, becoming part of the government's social network. The club still exists today but as something far removed from its founding ethos. The impact of the club has nevertheless been felt far and wide. During the 1950s 'Trader' Vic Bergeron's wife gave a rare interview to a newspaper reporter in San Francisco in which she revealed that her husband had only left the United States once in his life, in the 1930s on a trip to Cuba. 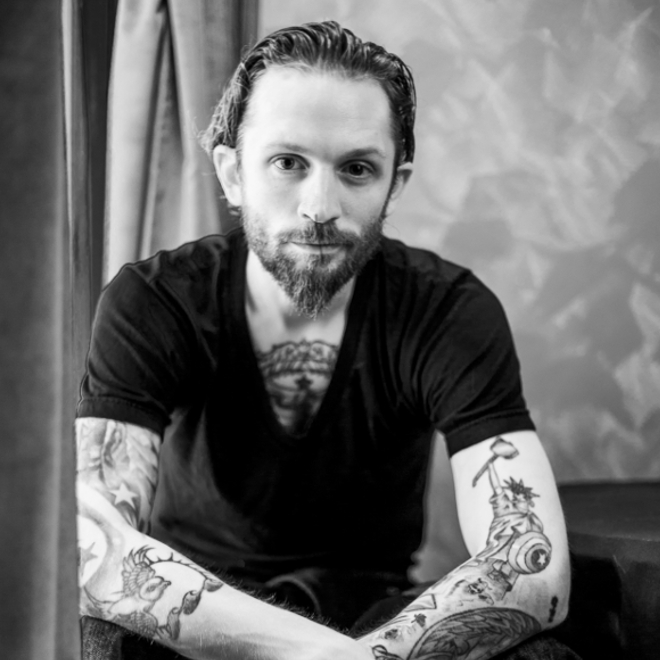 There he was amazed by how skilfully and gracefully the bartenders did their job and was inspired by their knowledge. 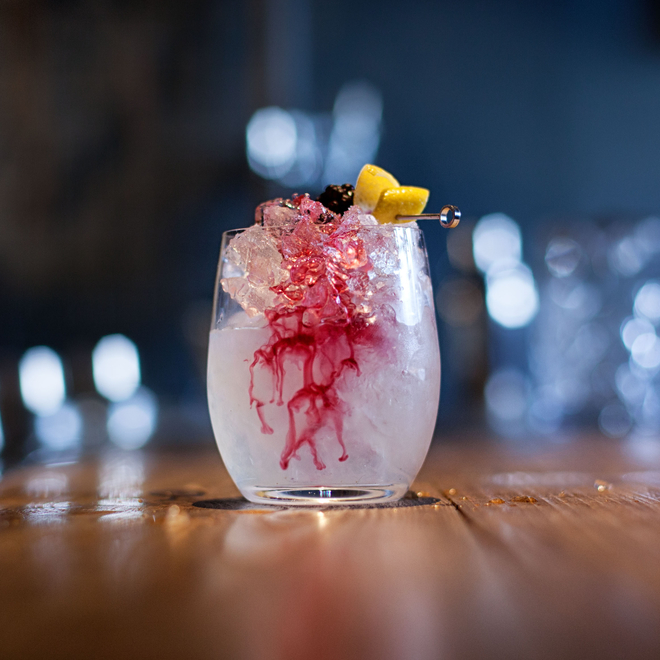 Thirty years later the famous Cuban writer Héctor Zumbado wrote of the bartender's 'sixth sense'. He said the cantineros of Cuba in their prime were not just cocktail-makers but diplomats who were virtuous, elegant and the ultimate hosts. 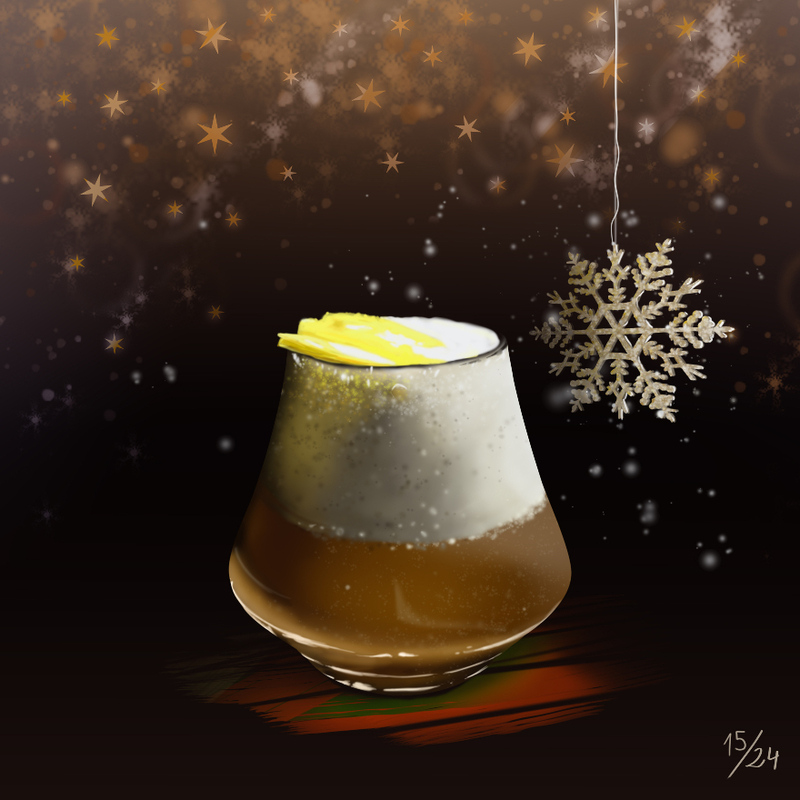 Perhaps their ultimate legacy is the ideal of a perfect bartender that the Club de Cantineros propagated. It wrote that a professional bartender should know more than how to prepare all the well-known cocktails; should have exceptional knowledge to honour the bar they work for and the society they serve; they needn't be a graduate in philosophy, nor in chemistry or physics, or in mathematics, but must know a little of these sciences and of trades, psychology and history.